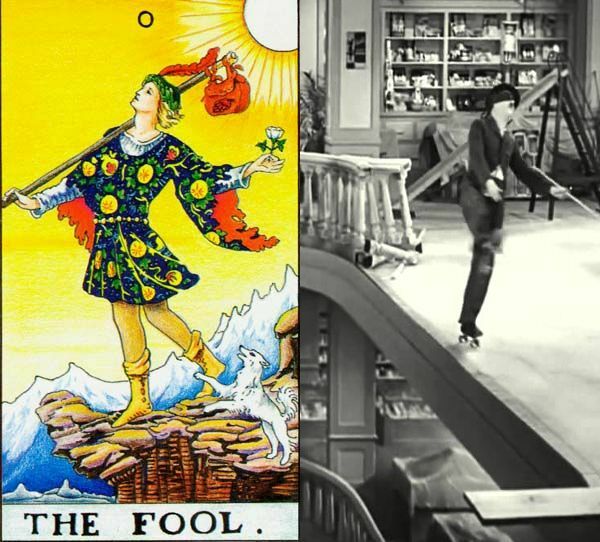 Traditionally, the Fool is the only tarot Major Arcana that remains unnumbered. 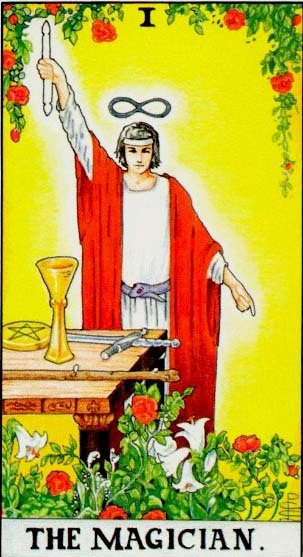 And, even when it has a number, its unique character remains strongly visible: meanwhile all the other Major Arcana are numbered with Roman numerals (like I for the Magician, VI for the Lovers etc. ), The Fool is numbered with the zero (0), an Arabic, not a roman numeral. 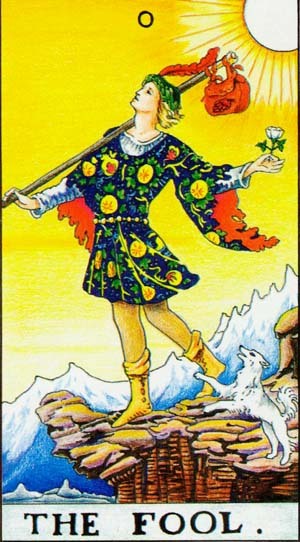 In the Rider-Waite Tarot deck, the Fool is showed as a young man holding a white rose in the left hand and a small sack tied to a stick, in the right. Accompanied by a dog and dressed in brightly patterned clothing, he walks merrily toward the edge of a precipice. Its path passes through high, snow-caped mountains and the sun is shining above him. You are about to step on a new path, a path that you know nothing about and which you do not expect. The Universe or a high force is trying to tell you something, but you haven’t yet understood what is about. You don’t use your power and your qualities in the right way or you don’t even know what your qualities are. You’re invited to self-analysis, because you already have everything you need to solve any problem, but you are not aware of your strength. You don’t need anything from others; believe in yourself and in God! The Fool tells you that one stream of income is not enough. You must find ways to make extra money. If you want to buy something or to make an investment, the Fool encourages you to action. The money must flow and, after you wisely invest what you got, there are chances to make or to receive extra money soon. The Fool announces love and romance, beautiful and happy hours spend together with the one that you love. But, if you are trying to keep him (or her) too long, your chances are small. This Major Arcana talks about the power of positive thinking and attitude, in your life. You have to reduce stress and to overcome negative thoughts, and will be alright. It is likely to find the right persons and the right treatment that will help you to heal your body and your spirit. 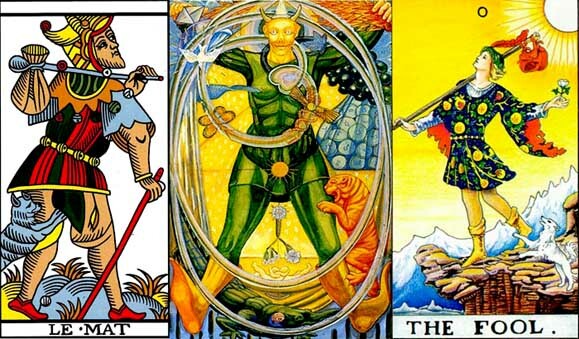 Share the post "The Fool: Interpretation and Meaning of the Tarot Major Arcana"